Many small- and medium-sized businesses (SMBs) are coming to the realization that marketing their content online has become the new standard for reaching customers. If you’re continuing to rely on traditional methods such as flyers, radio commercials, and billboards, you may just be killing your business. Content marketing can be a simple and cost-effective way to reach new customers and engage your existing ones. However, there are many marketing mistakes that SMBs make when marketing their content online for the first time. Even if your organization is experienced at marketing your products and services online, you can still make blunders. There are several reasons why your content may be killing any potential business. They can vary from poor planning to only using one form of content, such as blog posts, to spamming social networks. Alternatively, you may have great content but lack a call to action. And if you’re not telling people where to buy your products, then what was the point? If the content you use for marketing isn’t engaging, it won’t get views. And if you use the same topics as everyone else, why should people bother reading your blog posts, tweets, or Facebook posts? One of the most important things to do as part of your content marketing campaign is to find keywords based on your industry and keep them up-to-date. Also, write content based on newsworthy items in your industry. Tweeting and reblogging relevant content is also recommended. The Web has become much more visual in recent years. With videos, photo blogs, and sites such as Instagram and Pinterest, not to mention shorter attention spans, just using text as a marketing tool for your content won’t do. Use infographics, videos, and even audio files for content marketing. Keep the text you do write simple and easy to understand, but be aware there are still some people who prefer reading text. Even though you can publish content in seconds, doing so without a plan can lead to initial enthusiasm that can taper off. As part of your marketing plan for your business, come up with a list of topics and who is going to handle publishing the content. Plan out the type of content marketing you intend to provide your customers with, whether it’s blog posts, social media posts, or videos, and create a publishing schedule and stick to it. Again, a call to action is one of the most important parts of your content and not including it is one of the biggest marketing mistakes you can make. The call to action can include everything from where customers can purchase your products and services to your organization’s web site address or phone number. Put simply, you need to create a publishing schedule for your content and keep to it. If you only update your blog sporadically or only occasionally post on your social media pages, chances are people are going to quickly lose interest. It’s been said that the best times to tweet or make Facebook updates is in the early afternoon, so be sure to regularly update your social media pages at this time. Though you may be tempted to try to build a presence on every social media platform, doing so can also end up killing your plan and is one of the most common online marketing mistakes that many organizations make. The best advice is to look at the social media platform that will best serve your purposes. Twitter and Facebook are good starting points, but if you don’t create videos or your products and services aren’t visual, having an Instagram or YouTube account won’t make much sense. 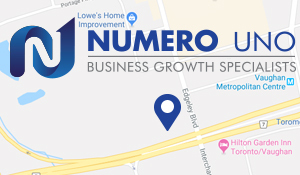 As the leading provider of online marketing for SMBs, Numero Uno Web Solutions will provide you with professional content and advice on what is working for your business and what is killing it. Our content marketing plan includes supplying you with everything from blog posts to press releases and building your presence on social media. We will also advise you on the best marketing channels to follow and which to avoid. Contact Numero Uno Web Solutions today to find out more.